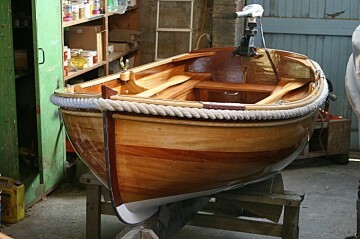 This one is now sold but Jacky will is building another one to be ready soon! 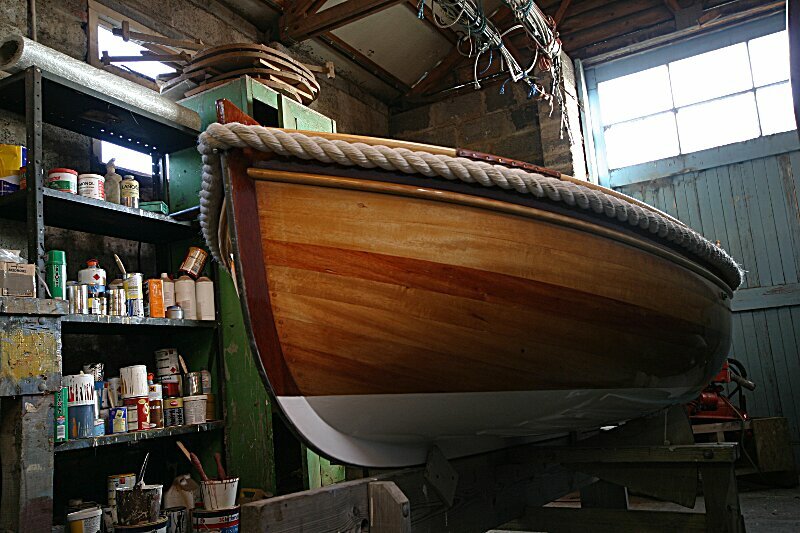 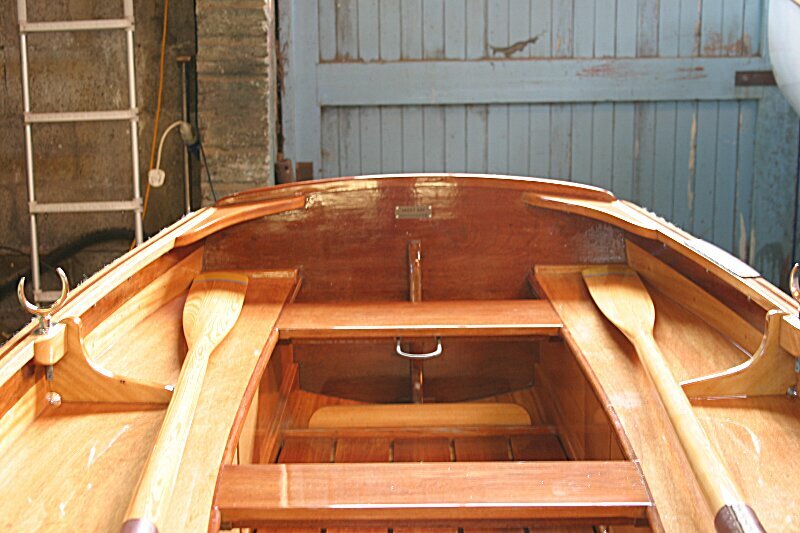 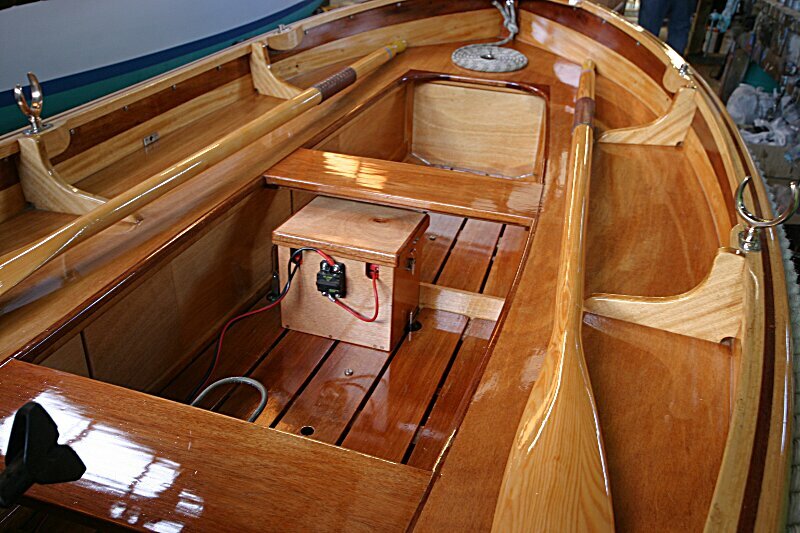 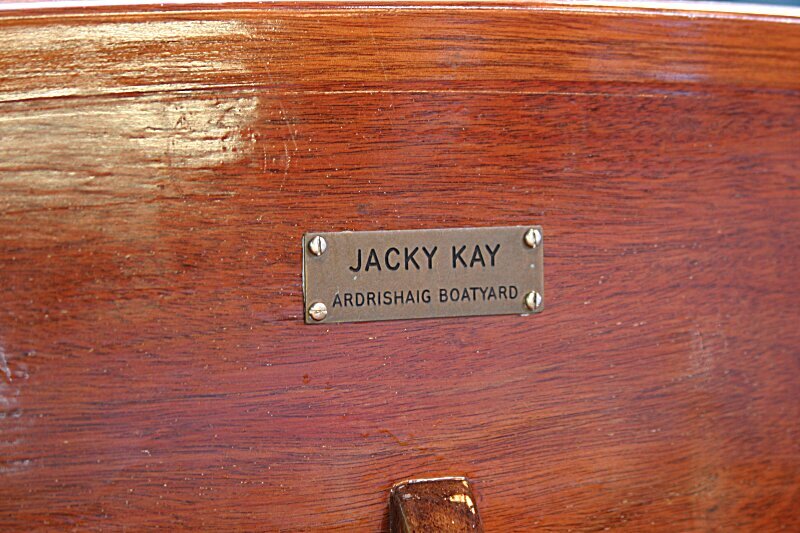 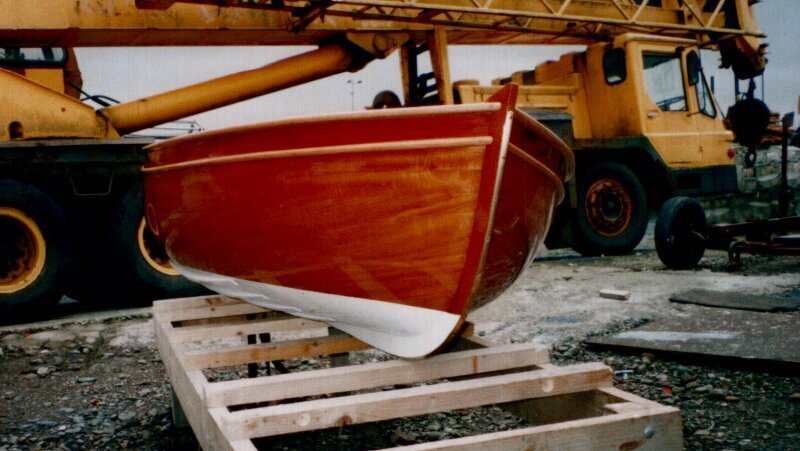 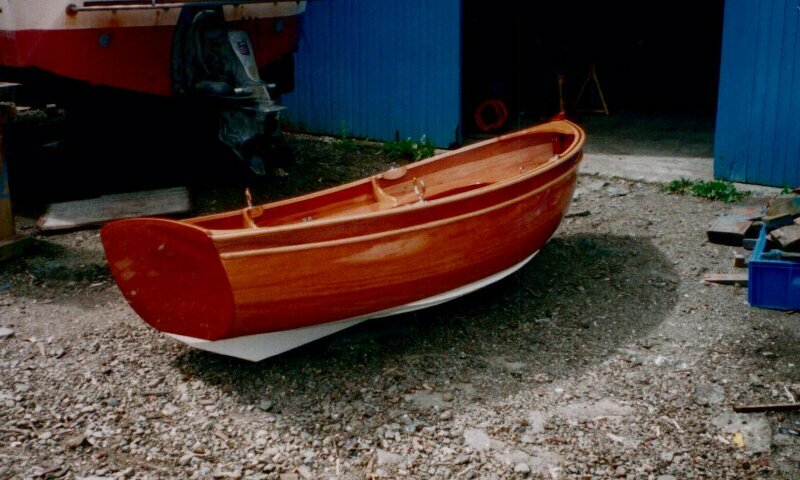 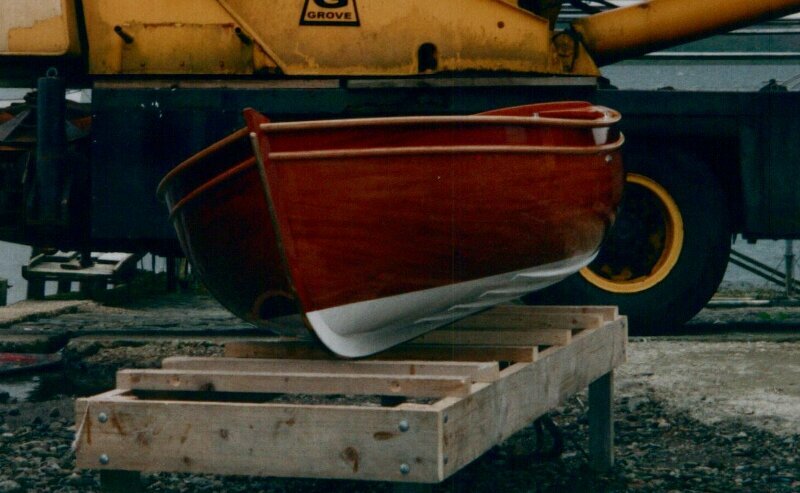 Superbly built by the craftsman Jacky Kay as tender to his own boat. 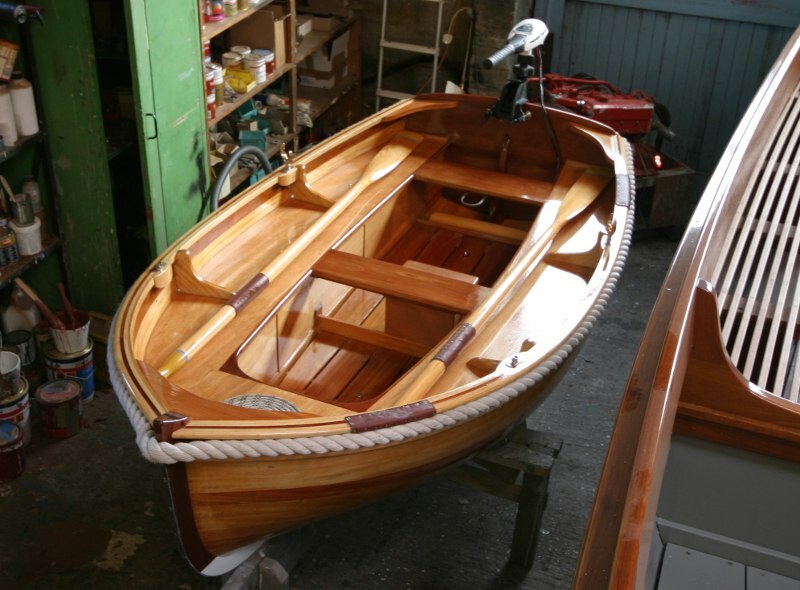 Now for sale in immaculate condition complete with electric outboard. 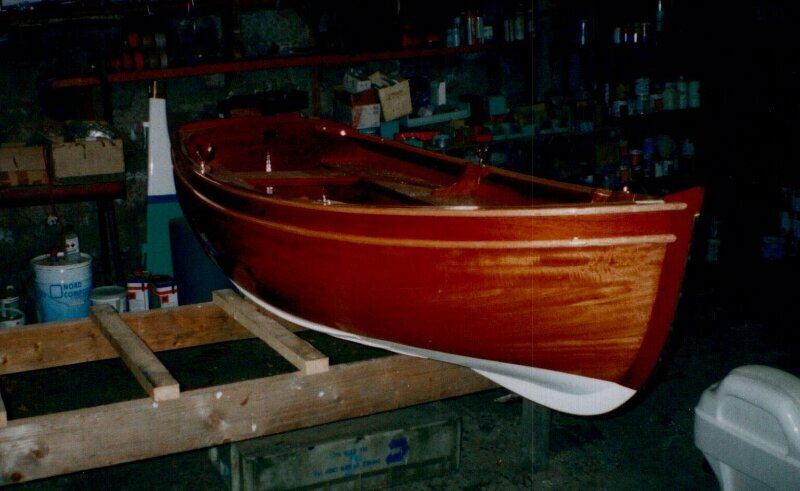 Cold moulded carvel planking glued with epoxy on to Brazilian mahogany and iroko centerline structure. 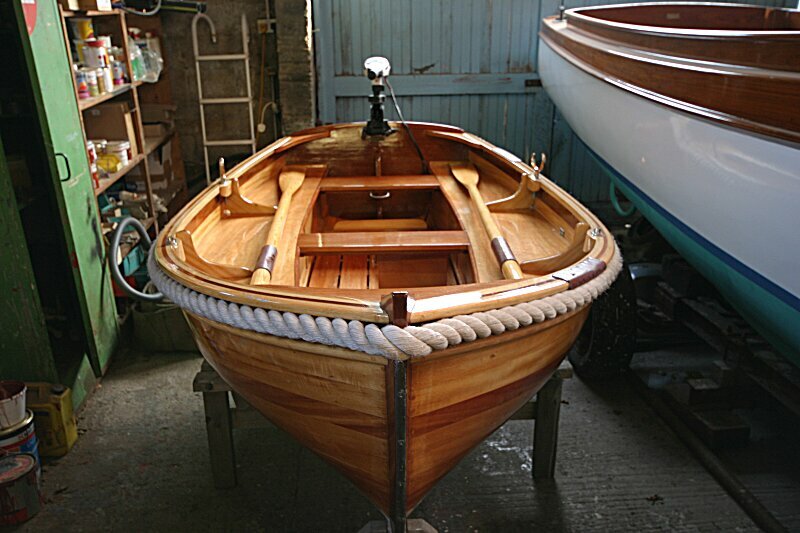 Built in buoyancy and generous rope fender tailored to fit. 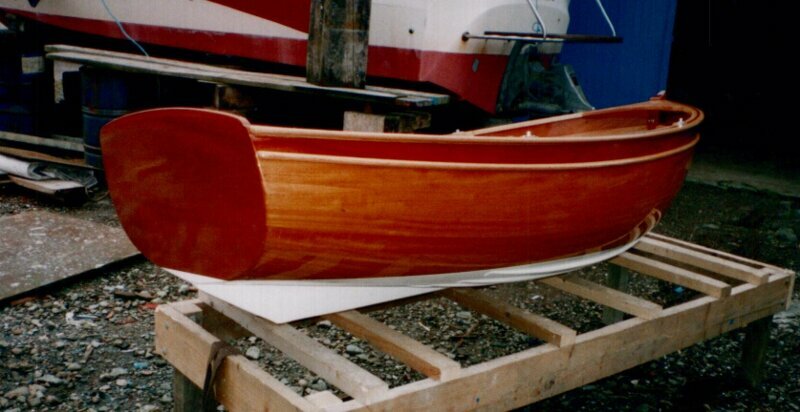 The whole structure is sealed with epoxy primer and finished off with 2 pack polyurethane. 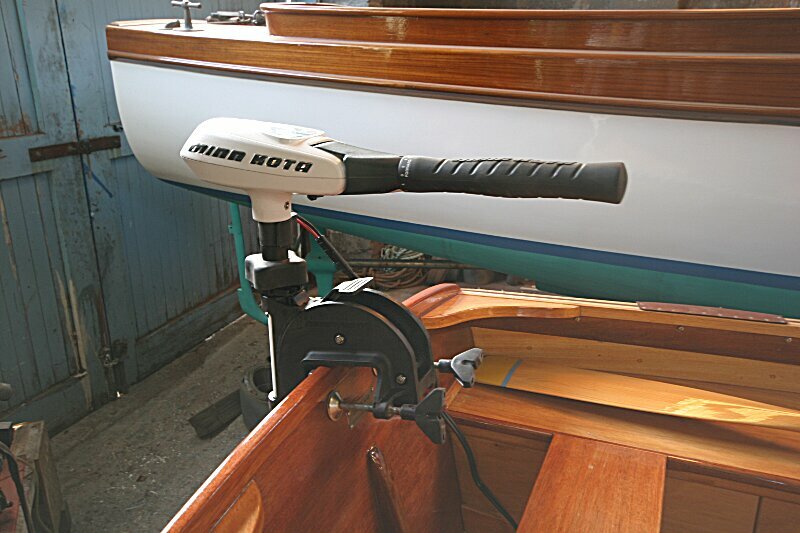 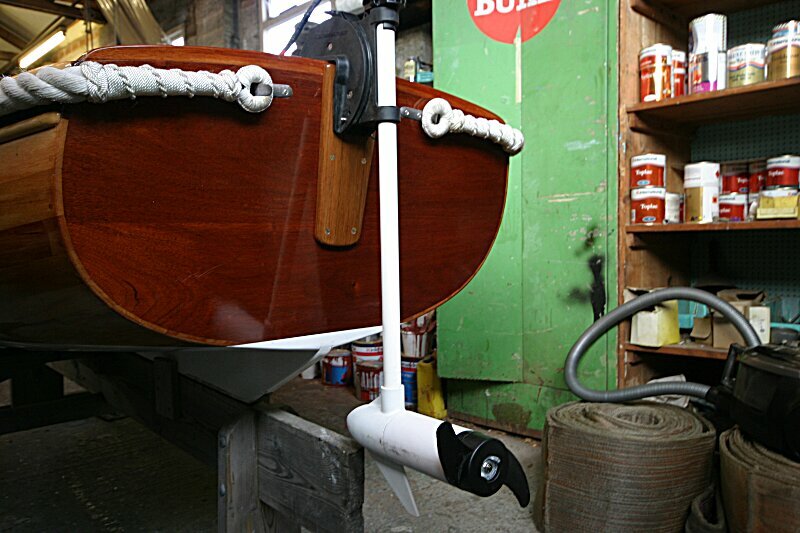 Ideal as a davit or deck stored tender on your classic yacht.